British C-130J-30 Military Transport Aircraft Crash-Landed In Iraq After Picking Up UK And US Troops In Syria 5 out of 5 based on 14 ratings. 14 user reviews. A C-130J-30 Super Hercules military transport aircraft has crashed in Iraq during an apparent special forces mission, Jane’s Defence Weekly says. The incident took place in August 2017 during a military operation of the US-led coalition against ISIS near the city of Raqqah in Syria. 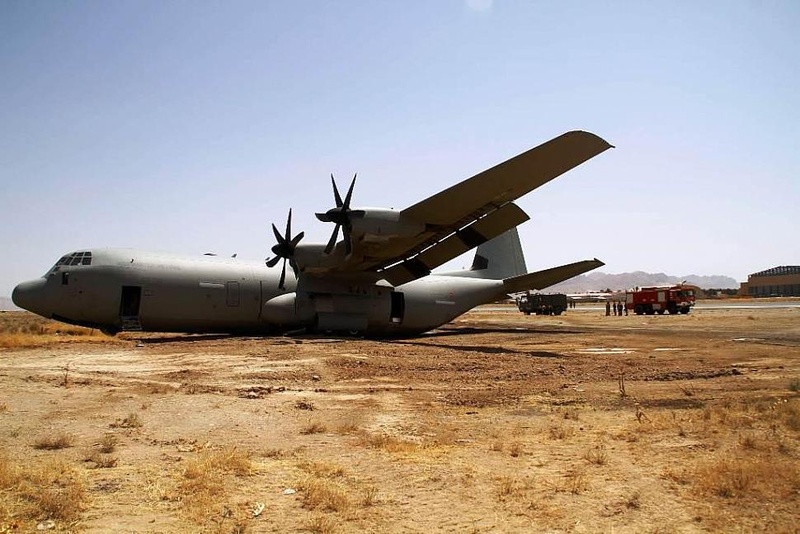 According to reports, the C-130J-30 Super Hercules military transport aircraft, serial number ZH873, picked up US and UK troops at a desert airstrip in Syria and returned to Iraq where it suffered a heavy landing at an airbase near the northern city of Erbil. No casualties among servicemen have been reported. This was the first air loss of the UK during Operation Shader – the codename for the country’s participation in operations of the US-led coalition against ISIS. The UK Defense Ministry has declined to comment on the incident. However, military sources confirm that this C-130J-30 Super Hercules military transport aircraft was disposed. You guys should have never come so far away from home: watch your senseless death and wasted life. Just more troop withdrawals from Iraq and covering up the true numbers of NATO forces in Syria. Big cover up about Zionists losses in Syria and Iraq,as their people would be up in arms against this illegal actions,supporting Isis terrorists. Great news.Justice is good any way you can get it. I don’t see any Anti-US comments here? Actually, it is you, a NATO-Gulf State-Israeli-tard, posting, whiny and dull, anti-SF propaganda. It is highly amusing to see a zio-moron deprecating a pillar of the imperialist defence media establishment in his masturbatory eagerness to throw around his name — (((Dirt))). Seriously, Mr. Dirt, you look like a blithering idiot. Wow ! Just another troll Dullard trying to make people upset with his boring trawling comments. As Joe Dirt’s comments have disappeared en-masse, it appears ‘Joe Dirt’ has pulled up stumps to change account name. We can expect to see more of the same low-level and dreary trolling – but under a new avatar name soon. THERE GO MY TAXES (yes Shouting). It’s called “crash-landed” not crashed. Thanks for getting my hopes up. the plane having been written off puts the event at the farthest point in the category “crash landing”. This was ISIS plane that crushed. Incidentally within their own forces they used pun Al’CIA’da or Alqueda Air forces as soft critics to their establishment policy in Syria. what… no dead? What a pity. Heres an example of a heavy or hard landing of a J at Herat in Afghanistan, yes a far cry from a crash but still extensive damage. was this written off? I don’t think so. the plane in the article was written off, at least according to the article. Dont know, Italian airforce, doesnt look like it would be, no fire so many components would be reusable if it was, engines, flight deck electronics etc. Airframe #5530 (Italian C130-J MM62190 pictured) was written off. Right main gear collapse/structural failure on hard landing. Airframe stripped. Probably beaten into pots and kitchen utensils by enterprising Afghanis. 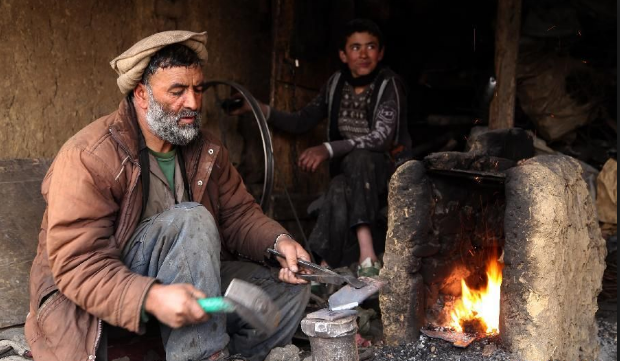 Blacksmith to son: Azzami! Is this another piece of that damn 7175-T736 alloy? I told you: no more engine truss mounts from H and J models. I’m going to wear my arm out beating this into something useful… Damn you, Lockheed-Martin! well, at least we know that no isis members were injured in the crash. Yep any aircraft structural damage makes a writeoff almost inevitable, if it cant safetly take off or pressurise makes it hard and very expensive to do anything with it, unless it happens to hard land at a lockheed factory or similar. It would’ve been repaired if it crash landed at a modern airbase that had shops and hanger space. See how the FUKUS countries cover everything up? We hope that this happen more often. Sorry, but colonialism must be over, we are living in XXI century. why was this not on UK news?